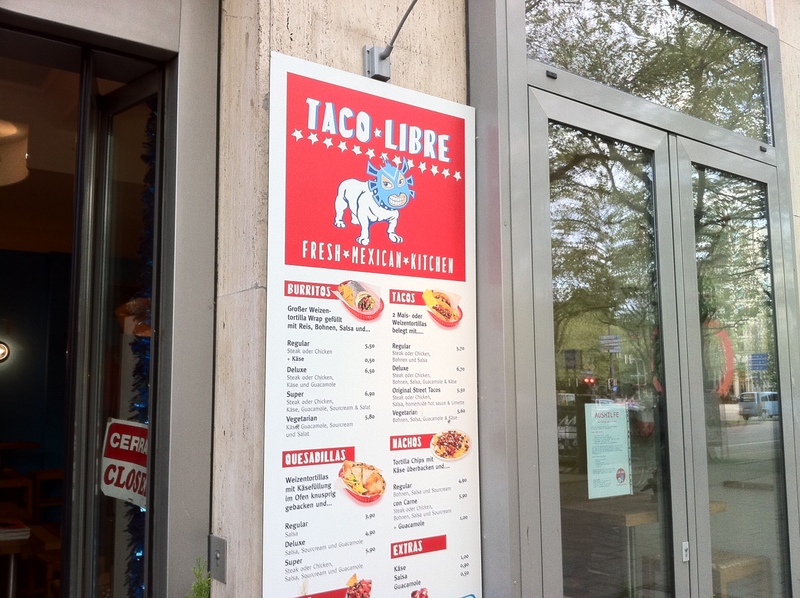 Taco Libre…And the Search For Good Mexican Food in Munich Continues. I Shouldn’t complain, really. I live in a great city full of fun things to do, lovely people to look at, plenty of green space and lots of good food. But I want it all. One can’t live on Gelato, Bratwurst and Bier alone, and sometimes the California girl in me just wants some good Mexican food. I had heard about Taco Libre and last week, before heading over to Art Babel for Creative Nite, it seemed like the perfect place to stop and get a bite to eat. Despite all of the relatively good Qype ratings I read beforehand, I left disappointed. 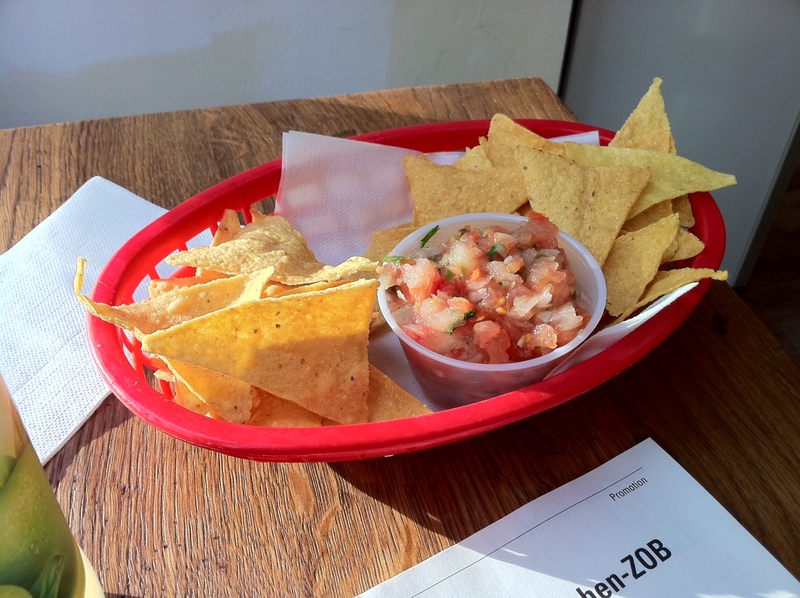 Although the pico de gallo was pretty spicy, and the corn chips were…okay, the rest of it was uninspiring. I ordered 2 ‘original chicken street tacos’. 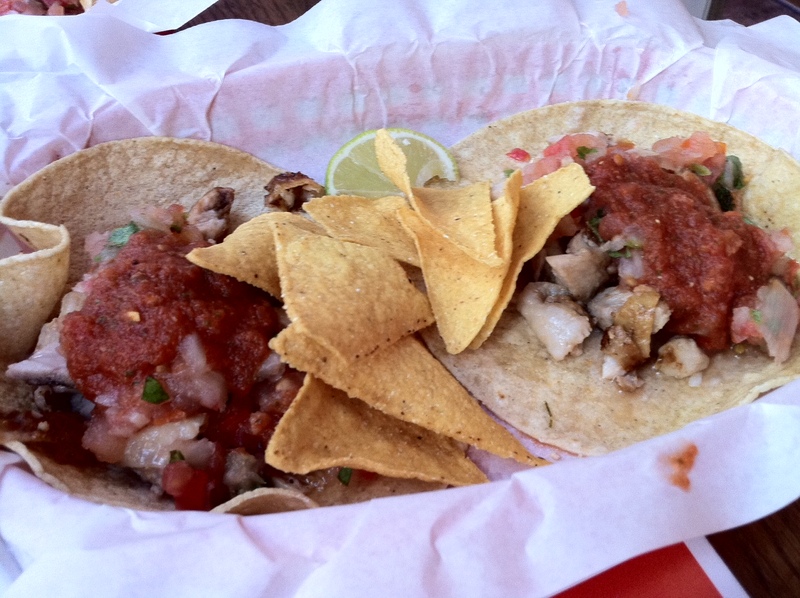 Each taco was served with only one corn tortilla, if it was really original it would have had two. They’re served this way so that the whole thing doesn’t immediately break when you pick it up (which is what happened.) On top of that, there were huge dollops of a very tomatoe-y salsa on top of each one which caused the whole taco to become very, very soggy, no bueno! My husband had carne asada tacos, and true to some of the more negative reviews I came across, the meat was very tough and rather flavorless. I am trying to keep my expectations low. I don’t expect to be transported into mid-town L.A. in carne asada heaven via downtown Munich, but getting the basics right; fresh ingredients, normal salsa, tasty meat, enough tortillas would be a good start. On a brighter note, the atmosphere was festive and the staff was nice, and that does count for something. Can anyone tell me where to get good Mexican food in Munich? Or am I asking too much? Agree – the food is not Cali-quality (or Florida…or Mexico). I assume you've been to Milagros though? @Julie – I have been to Milagros, twice. Bisher no me gusta! but I will try it again. The margaritas and guac were good. Maybe I just keep ordering the wrong things (duck, Duck! carnitas?!?! )@Ziska – I tried the Lindwurmstrasse place a couple of days later and was pleasantly surprised! Also, someone told me I need to give Taco Libre another chance and that the burritos are better than the tacos. i'm from cali so have high mexican food standards. condesa in schwabing (munchener freiheit) doesn't quite meet those standards, but it's decent….at least they've got a good guac. 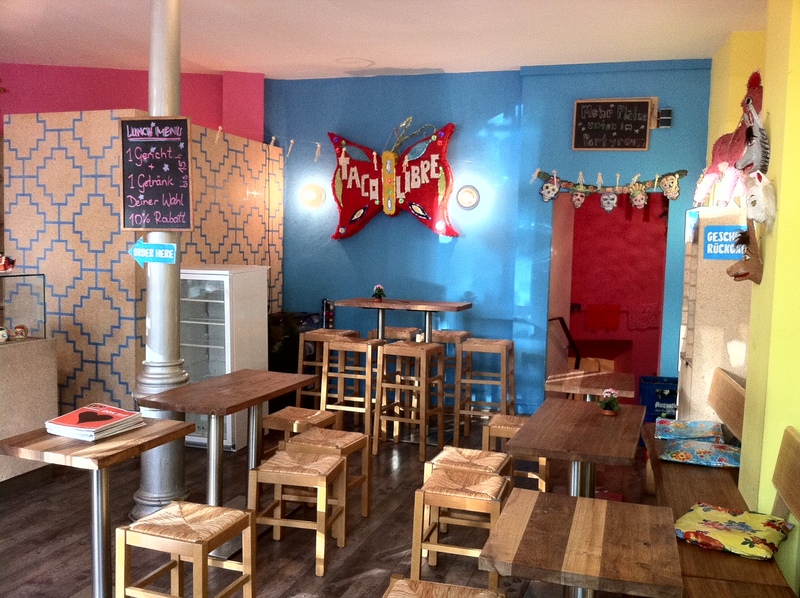 Have you tried condessa at munchener freiheit? @Rachael – Have not tried Condesa yet, but have heard both good and bad, so plan on doing so, just to weigh in!